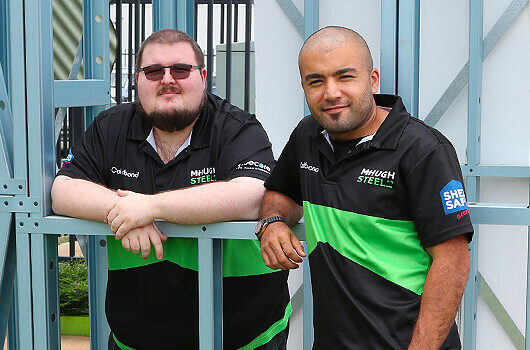 About McHugh Steel, our team and history. 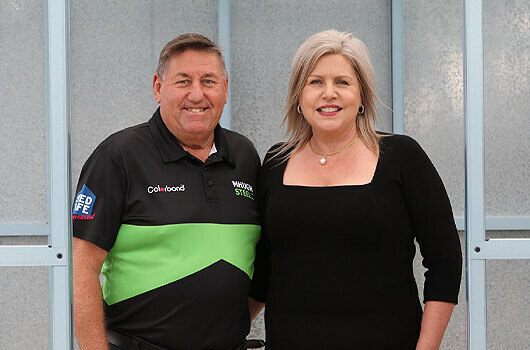 McHugh Steel was established in 1992 as Outback Sheds then McHugh Constructions and finally as McHugh Steel by Robert McHugh & Sonja Pressler-McHugh. They have been a huge part of the steep evolution as the company is Australian and family owned. Their main aim is to provide Queensland with personalized constructions and meet their customers needs. They pay particular attention to individual needs by offering flexibility in design and finishes as well as ensuring the best team, products and service are put forward. 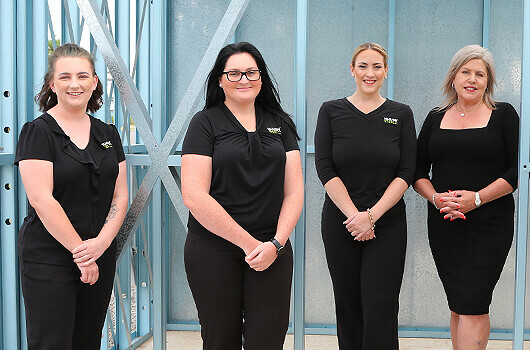 Wendy, Leanne, Ebony and Belinda are the ladies in administration, purchasing and accounts. They all offer administration support to other members of McHugh Steel. Wendy and Leanne have been with the company for many years and knows all the ins and outs. They look after the accounts department and ensure the company is running smoothly. Ebony started with McHugh’s straight from school and has been here ever since. Starting as a junior, she is the purchasing officer and has a great rapport with her suppliers. Belinda is the first point of contact when customers ring. 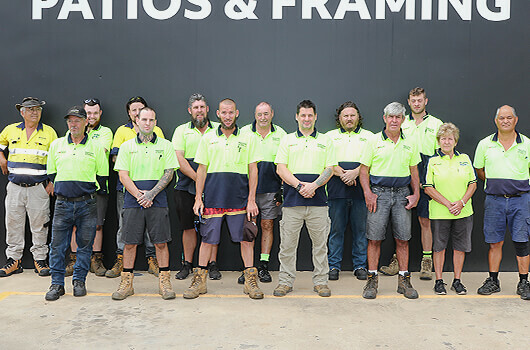 Offering administration support to the shed team, completing paperwork, liaising with councils, QBCC and Masterbuilders and logging the sheds progress from start to finish. Brett, Ray, Clint & Murray are the shed and carport salesman at McHugh Steel. They offer over 40 years of experience in the industry. With Ray previously owning a shed erecting business, he knows the structure of a shed inside and out and is very helpful when it comes to owner/builders. 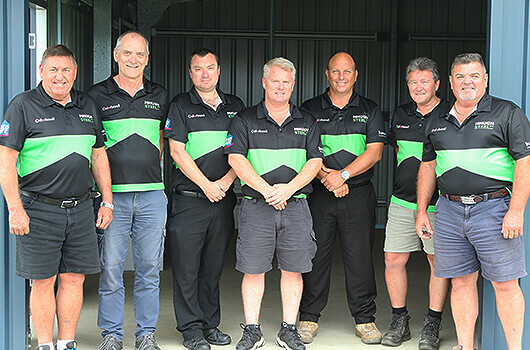 Brett, Ray, Clint & Murray can not only just quote the shed, but they can be there with you every step of the way; arranging council, concrete and the erection of your shed. We specialise in all shed sizes from garages to large industrial, farm and rural sheds. Ross oversees and processes all of the engineering and liaises with resellers to ensure all orders are created and manufactured properly. Having 50 years experience in the roofing division, you could say that we are already one step ahead of the rest. 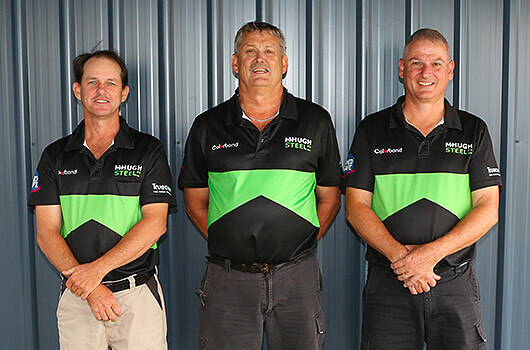 Rex, Michael and Graham have worked all their lives in the industry and use that to your advantage. They have a great rapport with their customers and fitters and follow each job through from start to finish. They specialise in new roofs, re-roofs, fascia, guttering and battens, whether it be residential or industrial, big or small. Cody and Jeff are the men in our IT Department. Jeff works tirelessly on our in house Shed programme ensuring it is always running at its best. Whilst Cody draws difficult jobs and ensure they get to our engineers on time. They all have remarkable knowledge in IT and there is never no job too hard for these two. The production team make, pick, pack and deliver. Being a manufacturer, we do just that and manufacture the majority of the things we sell. We have machine operators producing sheeting, purlins, gutter, top hats, brackets, flashings and stud frames. We also have a fleet of vehicles including semi trailers and body trucks that your goods can be delivered on. And if it is a small item will rush it to you on a ute. The trucks are fitted with a hi-ab crane so no job is too big to unload.